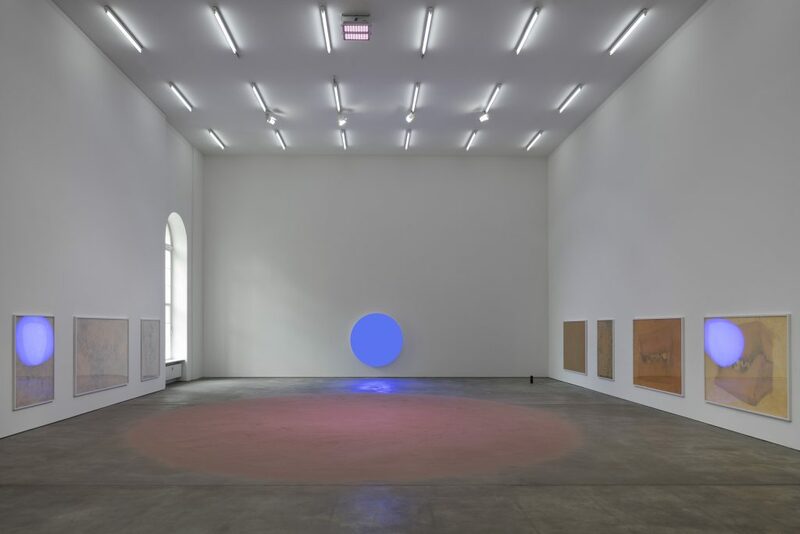 She Has No Mouth is Pamela Rosenkranz’s inaugural solo exhibition at Sprüth Magers, Berlin, for which she has developed a new series of paintings and an installation with light, scent, and sound. 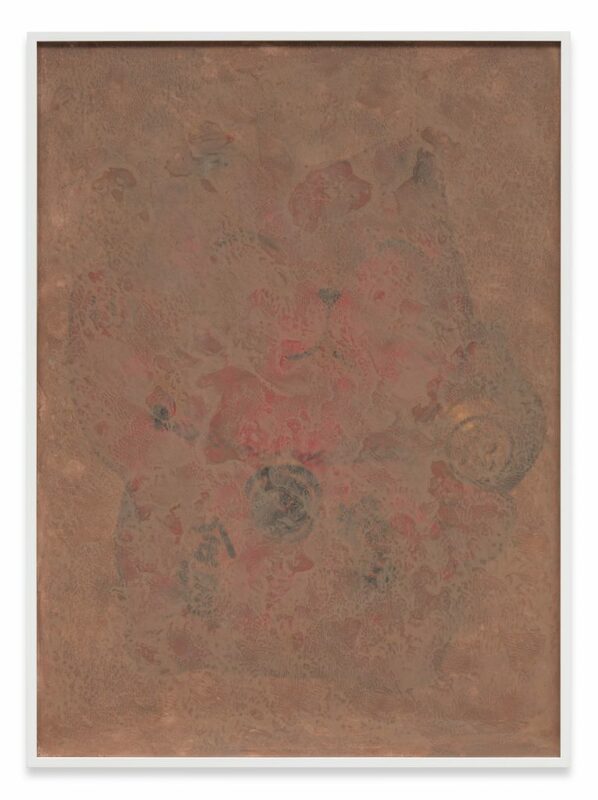 The works continue her longstanding engagement with the biological and evolutionary underpinnings of art, her investigation of materiality and immateriality, pigments and pheromones, microbes, colors, and scents. Rosenkranz probes the sensory stimulations that have triggered “hard-wired” responses in humans since prehistoric times. She mines these malleable codes that have been manipulated in contemporary consumer culture, by commercial enterprises such as the fashion and perfume industries. Rosenkranz starts, in a series of new paintings, with the tabby patterns of cats. Often evoking images of “sexiness” and sensual attraction, their stripes and patterns have emerged through complex evolutionary processes – the camouflaged surface of their fur simulates the light and shadows of their original habitat. More than 60 years ago, Alan Turing published a visionary paper on the mathematics of patterns that were repeated regularly in nature, but it is only recently that biologists have begun to uncover evidence of the patterning mechanisms that Turing proposed. It is known that tabby patterns not only trigger fight or flight responses in humans – to whose primordial ancestors, cats were a natural enemy – but that they also signal sexual and cultural dominance. The paintings on view develop a method that Rosenkranz has used previously: she applies layers of transparent skin-tone acrylic paint to cutouts of photographs that resulted from a Google Image search, covering the image with a three-dimensional and porous ‘skin’. 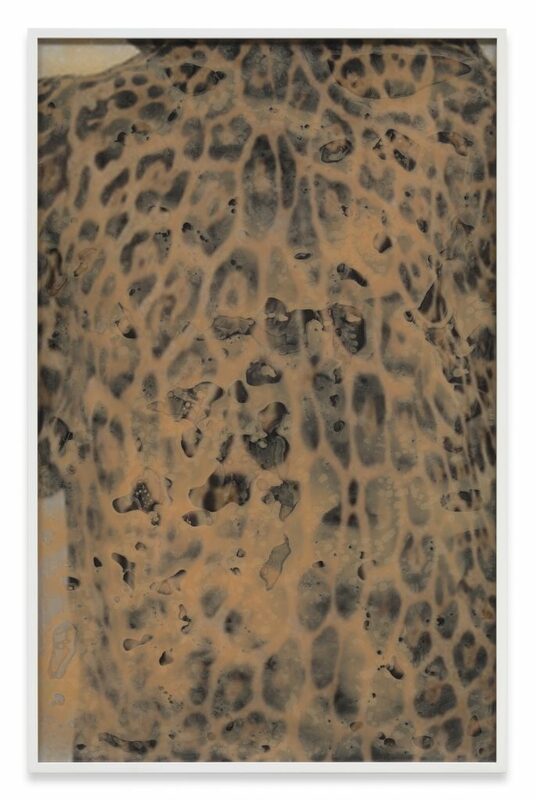 The paint she uses replicates skin tones as well as the sand and earth hues native to the sub-Saharan African landscape where cats first hunted men, and where human language and culture emerged. In her multi-sensory installation, Rosenkranz uses light to create a supernatural version of a “high noon blue” that reactivates our evolutionary environment on an affective and sensual level. The installation focuses not only on the evolutionary but also the microbiological relationship between the cat and human species. The work disperses a perfume that contains the pheromone Civetone – a strong, musky odor that is frequently incorporated in perfumes, and synthesizes the territorial markings made by big cats. When humans domesticated cats, an intimate relationship was formed between the two species, creating a stage for the transmission and reproduction of neuroactive parasites. This installation builds on Rosenkranz’s recent work Infection at the Prada Foundation Milan, which was about “Toxoplasmosis”: an infection caused from a widespread neuroactive parasite that we, and other mammals, share with cats. It is estimated that 30% of the world’s population is infected by the parasite, and it is said to influence human behaviors as diverse as physical attraction, fear, spending habits, and fondness of cats. The show further activates the cat’s characteristic “meow”. Domesticated cats only started to make this sound in adulthood, so that they might become more attractive to humans. “Cuteness” became an evolutionary survival strategy that enhanced the suitability of pets as companions for humans. She Has No Mouth examines the intertwined evolutionary and cultural processes that have shaped the relationship between cats and humans. Initially, cats were the hunters of prehistoric humans and thus proved to be an unrelenting threat to our existence. They have since been anthropomorphized, domesticated and, culturally speaking, developed as a symbol for cuteness. Evolutionary biologist Stephen Jay Gould has noted that so-called “neotenic features”, (juvenile features that enhance “cuteness” in babies) trigger feelings of affection and nurturing in humans. The title of the exhibition alludes to Hello Kitty – a Japanese comic character and global marketing phenomenon that generates $7 billion per year through merchandise. Hello Kitty does not have a mouth; so that “consumers can project their intimate feelings and emotions onto the fictional character”.